Home New New Components Wheel Rear Nutted 26"
Raleigh's most economical rear wheel. 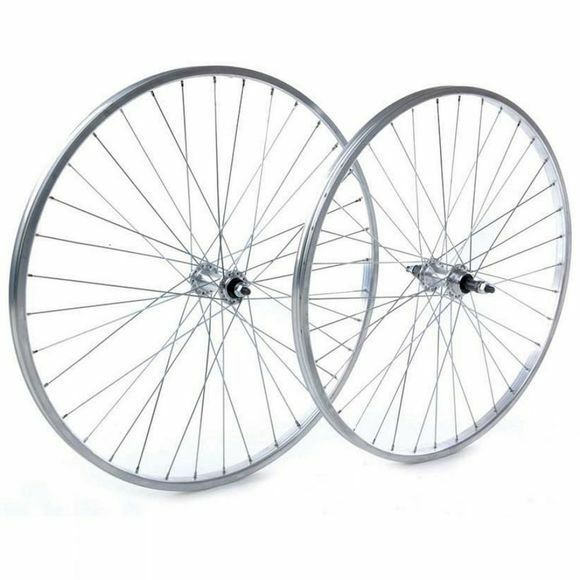 It features a 26x1.75" silver alloy rim and a 36 hole alloy hub with nutted axle. Suitable replacement for most entry level 26" wheeled bikes. Rear hub gear sided and threaded to take a standard multiple freewheel.